Site Rubix Review. Is this more than just another website builder? Do you need a business website but don’t know which online site editor should you use? In my Site Rubix review, I will be looking at a site builder that uses the WordPress content management system. It’s very quick and easy to set up your site and offers something that’s missing from all the other editors. You are taken step by step through the process of setting up your site and in addition, they also provide internet marketing training. Which is great if you’re thinking of creating an online business! Having a website is vital if you are starting a business to earn money online, so let’s see what is offered here. SiteRubix (SR) was launched in 2007 and was originally a drag and drop editor, but has been updated regularly to always be at the forefront of technical innovation. The platform provides a newbie friendly, modern environment. SiteRubix is a site builder that allows anyone to create their own website for free. In fact, you are allowed to build two free websites. SR is supported by Wealthy Affiliate (an internet marketing training platform) and you are given step-by-step instructions on setting up your site. SiteRubix is especially useful for beginners as you are taken through the process of setting up your website in easy lessons. It’s possible to have the framework of your site online in just a few seconds. You could start an online business site. Or you can buy a new domain name on the Wealthy Affiliate platform. You should only do this if you are certain of continuing to build your site. For most people starting with a free domain will be the best option. 3. Choose a website title. Usually, this will be the same as your domain name but can be changed later if you’re not happy with it. 5. Choose a WordPress theme. There a literally thousands of themes to choose from, just pick one for now. You can always change your theme later if you decide you want to change the look of your website. 6. You are now ready to build your site. Literally, a few clicks of your mouse and everything is set up. The video below takes you through the process. Once set up, you can start adding content and there is step by step training to help you. You will find that WordPress is easy to use and learn and is completely adaptable to be used for any type of website. You don’t need to know any coding to have a site that looks great and having used other website editors I would say that WordPress is the quickest and most straightforward way to create a website. One of the big advantages in creating a site at SR is using the WordPress platform. As opposed to some of the other website editors like Wix, Weebly or Squarespace, where you are limited in the number of themes or templates that you have to choose from, with SiteRubix, you can choose from many hundreds. This means that you create a website that is unique and you can change the look of your site when you like. There are currently more than 3000 free themes for WordPress, with a free site at SiteRubix you are limited in choice to just 2446. Another advantage in utilizing a website builder that uses WordPress is the number of plugins you can add. Plugins are tools that extend or add functionality to WordPress so that your site can do almost anything you imagine. There are currently more than 36,000 plugins available. SiteRubix comes with some essential plugins already installed and you are free to install others as you need. As you are building your website with WordPress it is, of course, possible to have a free website with wordpess.com. However, there are some good reasons for using SiteRubix, below is a list of some the limitations on WordPress.com. At SiteRubix, you have a greater choice of themes and plugins. The platform is designed for business users, so there is no problem with affiliate links. We have seen that SR is easy to use, you can make your site unique by choosing and customizing one of the many themes and you have a wide range of functionalities that you can add to your site. However, the advantages of this program don’t stop there. The domain cost may seem to be a little more expensive than Godaddy or Namecheap, however, at SiteRubix there are no extras. The price you pay is $13.99 and this includes everything – privacy protection and email accounts. The aforementioned domain name registrars are much more expensive for the same services. Your free site is hosted on the Wealthy Affiliate high-performance hosting platform where your site is monitored 24/7. The hosting has been conceived to specially suit the needs of business owners. Your SR website is protected from hacking, viruses, spam, malware and any other malicious activities that you can be exposed to on the internet. If you are serious about starting an online business, you might decide to build a few niche sites. Hosting them on the managed WordPress hosting at Site Rubix is much cheaper than the competitors. You are allowed up to 25 sites with your own domains. This costs $49 per month at Wealthy Affiliate/Site Rubix. Equivalent hosting with WPEngine costs $250 per month or with Pressable $90 per month for 20 sites. If you have your own domain you can install SSL on your site free of charge. In addition, on the Site Rubix platform, it’s just a question of clicking a button, you don’t have to go through the complicated process of installing your SSL certificate on your site. Many hosting providers charge for SSL certificates and installing them. 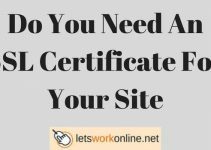 You might be asking – do I need an SSL certificate for my site? Until recently I would have said no unless you are collecting any personal or credit card information. However, as Google has decided this is a ranking factor, now I think it is necessary. This is what sets Site Rubix apart from all the other website editors. With the other site builders, you get help on setting up your site and that’s it, no training on getting traffic, adding content SEO or anything that is necessary if you are starting a business. 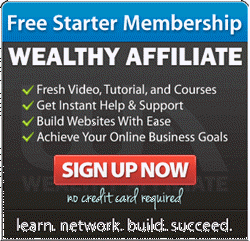 When you create your free domain with SiteRubix you also sign up for the FREE starter membership at Wealthy Affiliate. In this package, you benefit from 10 free training lessons that you can see below. You are taught how to choose your niche, set up your site and create content. The training is really easy to follow with step-by-step videos that are ideal if you are a beginner. If you are interested in taking your training to the next level, there is further training for a monthly payment of $49. Nonetheless, you can remain a free member of Wealthy Affiliate as long as you want. You have your 2 free websites that you can delete or install as often as you want or need. They are completely free for as long as you want. In 2014 and 2015 SiteRubix had some major updates to include new features. Originally when SR was launched, it was the site builder at Wealthy Affiliate, now with the latest updates, it has been placed under its own brand. Here I will run through some of the new components. The site manager is where you do everything related to your website (edit, build, manage, access …) All websites also have their own screenshots to inform you of the health of your website, so you have an idea of what you need to focus on to improve your site. Above is the overview of my site, to receive more detailed information you just click on the view button. As you can see I need to work on publishing more articles and I may have too many plugins. Just after you have published your website you will have poor site health, this is normal. With time and if you follow the training at Wealthy Affiliate, things will get better, just be patient. You are able to get quality, relevant engagement on your website by requesting comments from the community. To qualify for comments, you have to leave comments on other members websites. This should lead to better rankings on the search engines and more trust from your visitors. This feature allows you to request some feedback on your site. This will give you an idea of how others see your site and you will obtain some honest, helpful remarks which should allow you to improve your site. As you can see the SiteRubix platform is always being updated and improved, offering services that no other web hosting companies provide. If you own a website, it’s common to need some help at some time either technical or a question regarding an element of your site. SR excels in this area as well. If you have a technical problem with your site, perhaps you have changed some code and you can’t access your site. Create a hosting support ticket and normally you will have a reply very rapidly. I have contacted them a few times and they replied in just a few minutes and sorted out my problems in about 15 minutes. A really incredible service! For any more general questions regarding the appearance of your site, you can post a question on the Wealthy Affiliate platform and normally have an answer very quickly and at any time of day. How much does Site Rubix cost? Setting up a siterubix subdomain and creating your website is free. No credit card information needed. 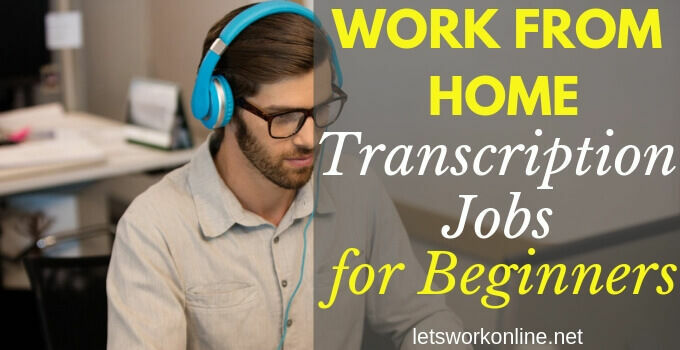 If after that you think some extra training would be useful or you want your own domain name you can sign up for the premium membership which is $49 per month. With the premium membership, you have hosting for up to 25 premium and 25 free sites. If you are planning to build a website to earn some money SR is definitely the place to go. The hosting is designed with businesses in mind. As we have seen the SiteRubix site builder offers some great advantages that the other available website builders don’t have. Consequently, if you are ready to start building your first website or your first WordPress website, choose a domain name in the form below and get started. Have fun, I am sure you will enjoy it! If you have any questions, need any help or have any experience with SiteRubix, please leave a comment below and I’ll get back to you very soon. Description: A website builder that uses the WordPress platform, you can build 2 free websites, plus you receive free hosting, support and step-by-step internet marketing training. My opinion: SR is a probably the best platform if you want to create an online business. You get 2 free websites to use as you wish but more importantly you also receive the training that’s needed to set up a successful business. 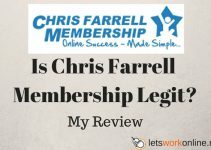 Is Chris Farrell Membership legit or a scam? QuickRewards Network Review – another scam or a legitimate business? Long time no see, how are you doing? SiteRubix is a hard to compete Web Builder, which in essence, is way more than a builder. Why don’t you have the SR widget active on this page? Cheers, wishes for a great winter holiday season! SiteRubix is, as you say, so much more than just a site builder. When you sign up for SR you get access to managed WordPress hosting, internet marketing training, a keyword tool and a community that’s ready to help with any problems you have. Thanks for the reminder about the widget. I have added it to the post! Wish you all the best for the festive season! Thank you Peter for the helpful information and description of and about siterubix. I have joined by means of Wealthy Affiliate and and have been stumbling around trying to set up a website with just a small amount of success and not yet complete. If the software is intuitive it does not match my intuition. Where should I ask for help? I think that the site I’m having partial success with is a WordPress site. Sorry to hear about the problems with your website. If you set up your site with SiteRubix then it is definitely a WordPress website as they don’t have any other alternatives. As to who to ask, it depends on what sort of problems you’re having. If it’s a technical problem with your website then ask support. If it’s a problem that’s theme or plugin related you could ask the community a question, ask in live chat or contact the person who referred you to WA by private message. If in any doubt if you ask the community or write a blog post about your problem they will try to help you. If I can be of any help let me know! Why Site Rubix over WIX or DUDA? is it simply a better option for business/ Ecommerce? Hi, I recommend SiteRubix over Wix, Duda or the other online site builders for building a business website as you also get step by step training on how to start an online business. For a beginner, this is very important. The site builders make building a site very easy which is great, but after that, if you have no experience of building a business what will you do? Probably search on the internet for a while and then give up. SiteRubix provides training for setting up an affiliate marketing website using WordPress. You learn about choosing your niche, keyword research, SEO, social engagement, PPC and more. SiteRubix may cost a little more, but for a monthly fee of $49 you can have 25 SiteRubix subdomain sites and 25 of your own domains. The hosting is managed WordPress hosting which for the price is incredibly cheap. These are a few of the reasons I recommend SiteRubix over the other site builders. I am from India. As I wish to join Amazon Affiliate Programme i need a website. i do prefer to start with a free website option. As Site Rubix is not allowing Indians to join free membership, can you suggest an alternative to Site Rubix other than WordPress and Blogger. Sorry, the free option isn’t available to you with Site Rubix. The trouble with most free options, such as Wix or Weebly, is they have carry ads that are imposed and you will use a subdomain name. Both these factors will make your site look unprofessional. So, it might be worth your while getting some cheap hosting, installing WordPress and then building out your site. 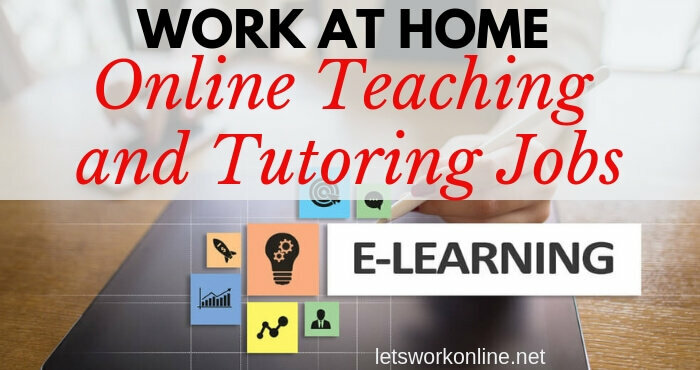 There are many tutorials on how to do this online. I’m aware of the basics in setting up websites. But, for a viable online business the major marketing gurus will tell you that you must split test everything right down to the time you send your emails to your list. And one major reason for doing business online is that you don’t have to be in the store 8 hours a day, you can sell 24/7/365. So, how does WA help its premiums members with the with split testing and autoresponding and writing ads that link to landing pages that link to checkout. Are these site infrastructure questions dealth with in WA training? For split testing, there is some training that is included but it is mainly in the live webinar training sessions or training by members. Autoresponders there is some free training that you can check out plus training for premium members. And again for landing pages, there is some training. This coming Friday there is a webinar on tracking conversions and optimizing them which would probably be of interest to you. It’s a job to know if this is exactly what you’re looking for, there is a lot of training available that I haven’t gone through yet. It would probably be best if you sign up as a free member and then if you use the search bar at the top of the page you can search the topics you need. For most of the subjects, you mention, there will probably be some free training and also some training reserved for premium members. If you can’t find what you’re looking for you can ask the community and usually, you will have a reply quite quickly. I’m from Nigeria wealthy affiliates don’t accept Nigerian even the innocent ones, as a Nigerian can I use siterubix. since WA don’t accept Nigerian I guess sb won’t accept. Sorry, it’s not possible to sign up as a free member of Wealthy Affiliate if you’re from Nigeria. As SiteRubix is part of the WA platform the same goes for SR as well. Found out that this SR is linked to Wealthy Affiliates, so signing up in SR essentially makes you a member of WA. However, I’m from a country where free membership is not allowed, so I have to go straight to premium. I really want to sign up but I I need clarifications. What happens if a member is unable to pay the second month? What happens to the websites that were created? Will the membership be reinstated once the member is able to pay? I’m not certain if members can quickly recoup their investment in the first month, so there’s the chance of having a difficult time paying for the following month. Kindly just enlighten me so I can make an informed decision on whether to sign up or not. Yes, SiteRubix is linked to Wealthy Affiliate. Sorry to hear you can’t profit from the free membership. If you can’t pay for you membership for the second month your websites are kept for 30 days before they are disabled. This gives you the time to transfer them to another host or if they are free sites to make a copy of your content. Your membership account is always there and can be re-activated at any time. You need to give yourself several months before you start making any money, some people might earn during their first month and others after a year or more. 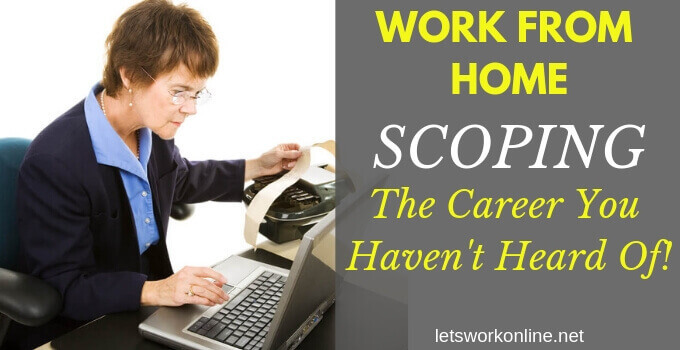 This depends on many things like the niche you choose, if you write well, how much time you can put in and if you follow and take action on the training. Hi there – Do you know if DIVI 3 and DIVI BUILDER can be used on this platform – SiteRubix. As far as I know there should be no problems with either. There are some other members that use the Divi theme and I use Thrive Content Builder for one site which is similar to Divi Builder. You will have to upload the theme and plugin via FTP. Hope that helps. HI, Peter, I am much impressed with your siterubix review. Though a premium member , before reading your review, i assumed that siterubix is a hosting provider, whose affiliate program has been promoted by WA. Now i understand that siterubix is part of WA, acting mutually. Anyone interested in starting an online business will have to build a website , which is part of the online business training of WA,, which in turn will add competitiveness to siterubix. One thing I still do not understand is that though I could have 25 websites hosted on siterubix, I cannot see the point at all! One high-ranking niche website would be enough! I don’t think Kyle or Carson have over 10 websites of their own. Even they do, i am afraid they could spare little time for each of them! WA is a wonderful place for us to learn how to run an online business. Anyone who want to succeed in online business would like to pay for the training. However, a big learning curve would discourage at least half of the premium members from sticking to their goals. After all quality content writing in their respective niches alone would give them a hard time. What would happen if they had 25 websites? Thank you for your comprehensive and professional review of siterubix! Yes, SiteRubix is part of Wealthy Affiliate which really makes sense because, as you say, when building a new business you will need a website. Keeping everything on the same platform does make things easier. As a premium member at Wealthy Affiliate, you can have 25 sites with your own domains and 25 SiteRubix sub-domain sites. It’s true when you’re starting affiliate marketing one niche site is largely sufficient. I would definitely recommend starting with just one site. But over time you will probably create a few other sites. 25 sites are far too many for me but some people create sites for businesses and host them with SR, so for them it’s useful. Some free sites can be used as test sites, for example, when you’re trying a new theme or when another member is having a problem with something you can try things to attempt to help them out. Anyway, thanks for your comment and good luck with your business. I would just like to ask if it is possible, once I have my premium account with WA I’m planning on having maybe 5 websites for personal use, and can I just use the remaining 20 free websites to, let say I’ve contacted small business like bakery, salon, food stand and make them a website and let them pay me a minimum amount every month? Yes, it’s possible to have a number of personal sites and then other sites for local business clients. There are some other members that do this and can be a nice business. If you need any other info let me know. Why is site rubix free plan is not available in my country Philippines. I register but they say that free plan is not applicable in my country. I just started the initial phase of creating a website with Siterubix. I’ve read and viewed all of the information you gave about creating my website. Then I entered the subdomain name. I waited for a response as to whether the name I gave is available. I’ve gone and put one load of clothes to wash and folded another load of laundry. It’s still checking for an available name. What did I do wrong? Yeah, the siterubix platform is a really easy to use and you can have a great looking site online very quickly. 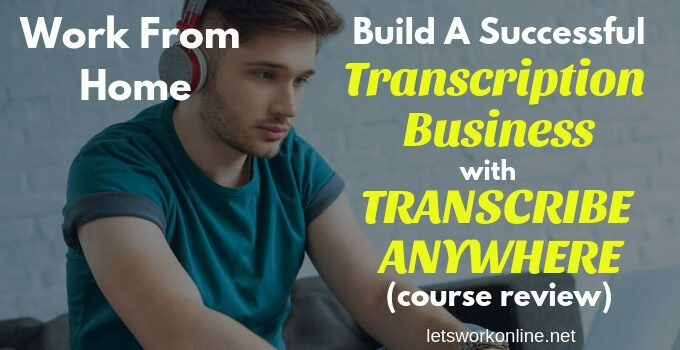 You learn about SEO, call to actions, creating content for your website in the training at Wealthy Affiliate, which is part of the same platform. As said in my review, this is where siterubix differs from the other site builders. 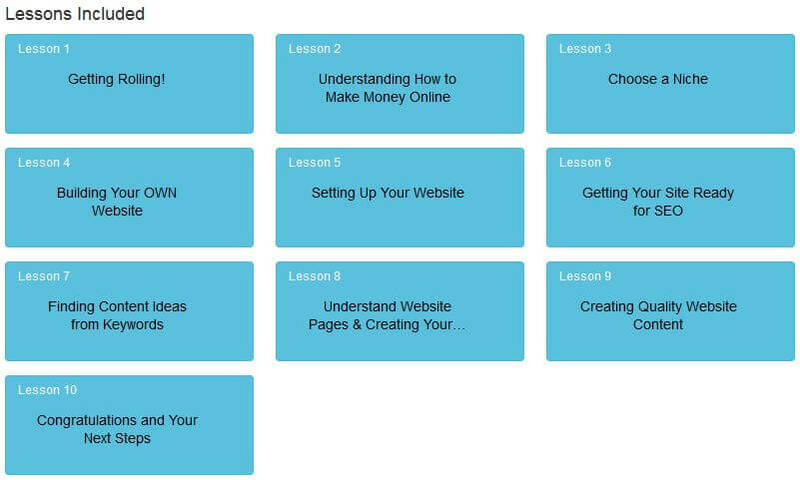 There is training on every aspect of setting up an online business. 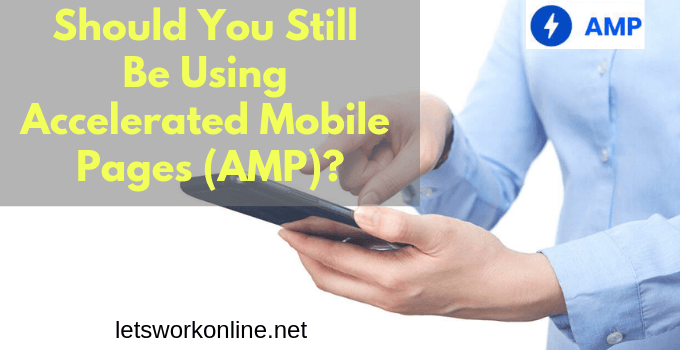 As for having a responsive site, as the sites are built with WordPress, if you make sure you choose a responsive theme when setting up your site this isn’t a problem. Is there a control panel for your own customizations in this platform for WordPress if needed? The Site Rubix platform is like any other hosting only you don’t have the normal control panel or cPanel. However, you can access and transfer files via an FTP client. I hope this answers your question, if not let me know. For a starter membership, FTP access is not allowed & only 3 basic WP plugins are available. Yes, there is no FTP access for starter members, I did note that in the cons. Thanks for reminding me about the limitations on plugins. I will add that to my list of cons. Although there are these restrictions this doesn’t stop you from building a site that is capable of earning money. I have used FTP access just once or twice in 2 years to back up my site. Not being able to install certain plugins might limit the functionality of your website a little, although most of the plugins I have installed are to improve the speed of my site or for analytics. These are inconvenient but not vital to having a successful site. I am an artist and want to create website to sell my art. I am doing my research and still didn’t decide what site builder to choose. It is just most important. And if it is possible to install this features, how much it will cost me. I don’t see any information about charging credit cards. I’d like to know all about it before I’ll start building my website, I just want to be ready, because I never built a website before. Yes, there are a few choices available. As you have not had any experience of building a website, I would take advantage of the programs that offer free trials. You could try the SiteRubix site builder, which would give you an insight into WordPress, but you will have to add the Woocommerce plugin and a few other extensions to have the functions you need and for someone just starting this could be a little complicated. I would be tempted to try Shopify, they have a 14 day free trial and after that the price is $14 per month. For this price I think you would have all the options you are looking for (I’m not sure about a shopping cart, you can always upgrade later) but it might be worth starting small, to test the water before paying for something more expensive. I hope this helps and I wish you great success. Irina. Use shopify. Lots of training and knowledge center. Super secure big company. 47 bucks a month and have your domain as subdomain is a rip off from this Wealthy Affiliate company. Use Shopify or even Squarespace. They both have decent designs. I am a designer so I know the platforms well. Look me up. I can help. I did suggest to Irina to try Shopify, they are a great platform. Just to clarify, if you use a subdomain from Wealthy Affiliate it’s FREE. For $49 you get the training, support and the tools you need. This includes hosting for up to 25 sites and 25 subdomains. This doesn’t sound like a rip off to me! Hi Peter, thanks for the simple and insightful information laid out here. Just to clarify, is the $47 a one-time cost or monthly/recurring? The cost is a recurring monthly cost, that has recently increased to $49. For the price, you have hosting for up to 50 sites, training, keyword tool and several ways to get help and support. If you like you can check out the free trial, you don’t even need to enter your credit card details. I’ve never heard before about this web builder. So why Site Rubix is better than others? For example, the same Weebly or Wix? Does it have any unique advantages that aren’t available in any other website builder? SiteRubix is different from the other site builders in several ways, one of the most important is that it uses the WordPress platform. You can have 2 completely free sites with a siterubix subdomain with no adverts. Being part of the Wealthy Affiliate training platform, the main advantage is that you can get extensive training in internet marketing. Even with the free version, you receive step by step training in – setting up your site, choosing your niche, info on keyword research and creating content. After that, there is a paid version that gives you more training if you want to take your business to the next level. I’ve been using SiteRubix for quite some time now and I’m more than happy with it in terms of reliability and support. Even though they’re focused on business websites, especially for Affiliate Marketing, they also do a great job for a personal website, thus making it easy to combine any hobby and monetization. What I also like about SiteRubix is that with hosting they fully manage your website for no additional costs. Something you don’t find anywhere else, unless you pay a lot more. Great review and I can only recommend SiteRubix. Thanks for your feedback Nicole. I agree SR is a great platform, very reliable and the support is really tremendous. When you have a problem they really are rapid. I’ve never seen support as good as this. With the many themes in WordPress you can find a theme that will suit absolutely any sort of website and of course this can be hosted with SR whether it’s a personal site or a business site. When you think you can host up to 50 sites (25 premium and 25 free sites) with SR for just $49 per month, with training and support, it truly is outstanding value. I have used the Siterubix website builder to put up a few free websites and I must agree, very easy to use. I think it’s a total of 4 buttons to click. Maybe the most challenging thing about Siterubix is all the choices you have for picking a theme. And you’re right, the free Siterubix site I put up ranked Google in 3 days with 2 pages of content and looks and feels as good as any other premium theme I’ve ever paid for. Great review of Siterubix, I found it very educational and informative. Yes choosing a theme can be tricky, but one of the advantages with WordPress is that you can change themes at any time. So if you do pick the wrong theme, it’s easily changed and you don’t lose any of your valuable content. The SiteRubix sites rank and look just like any other WordPress sites. Being free, it’s a great way to get your first site. Glad you found the review useful Todd and thanks for stopping by. Great review of the free website builder .SiteRubix. on Wealthy Affiliate Peter! You just can’t beat the program, Wealthy Affiliate,that Kyle and Carson have set up here. Thanks Virgie. Yes Wealthy Affiliate is a really great program and the fact that the SiteRubix site builder is incorporated into this platform means they have an advantage over all the other website builders. They provide the internet marketing training that is lacking with all the other online site editors.